Step 1: Go to the Macrogen website, and create a new Macrogen Customer Account. Here is a guide for filling-out the customer account information. 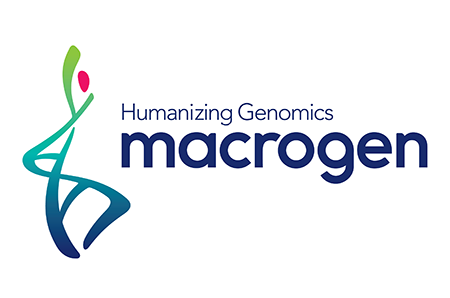 *Please note that to order Sanger Sequencing Services, you need to create a customer account on the Macrogen website, even if you have have a Syntezza customer account. Sanger Sequencing orders must be submitted on the Macrogen website using a Macrogen Customer Account. Step 2: When your samples are ready for sequencing, login to your customer account on the Macrogen website and place your order. For sequencing of tubes or plates, click on Standard-seq. See here for the requirements of sample preparation, also shown briefly below. For plate orders, here is a helpful guide for using the Macrogen online template. *Please note that Syntezza will invoice you for your orders at the end of each month. Step 3: A Syntezza driver will pick-up your samples. When you submit an order on the Macrogen website, Syntezza is notified. You do not need to contact us for pick-up. View our Pick-up Schedule. Save time and money by using our advanced Eco-Seq or EZ-Seq labels to place your order. Once you have purchased Eco or EZ labels, instead of placing individual orders on the Macrogen website, simply let our offices know each time you have samples ready for pick-up. Contact us by email at sequencing@syntezza.com or call 02-586-7138 ext. 3 (Nitzan). *Eco-seq plates have a maximum of 4 primers. *Please note that purification adds 24 hours to the TAT. *Please note that a minimum of 20 uL is required for purification services. Macrogen performs filter purification, but they can perform purification by Exo-sap (chemical purification), upon the customer’s request. Primer concentration: 5-10 pmole/ul, and please always inform Macrogen of the size of the template. *A list of universal primers kept in-house at Macrogen can be found here. *Following a quick check by Nanodrop, the sample concentration must be confirmed by gel electrophoresis. The concentration of my sample is not high enough, what should I do? If your concentration is somewhat close to what is required, then you can send a larger volume than what is recommended. However, please write on your order form that you included a slightly lower concentration of sample. Also, please note that Macrogen only performs re-sequencing if they feel that the low quality of the results was due to their own technical errors. Please see Macrogen’s troubleshooting guide for a list of sequencing failures that do not quality for free re-sequencing. I want my sample to be sequenced by multiple primers. Do I still need to send in only 20 microliters? Macrogen uses about 5 microliters of sample DNA per reaction. However, it is always better to send more than required. For example, if your order requires 25 microliters of reaction, try to send at least 30 microliters, if not more. Are there any limits to using multiple primers for a 96-well plate? The 1 primer/1 plate service requires that all samples in the 96-well plate are to be sequenced with the same primer. Multiple primers/1 plate service allows for up to 6 primers per plate. However, this service stipulates that individual wells be sequenced with only 1 primer. If the DNA in an individual well is to be sequenced with multiple primers, each sequencing reaction incurs a charge for a single plate sequencing service. For technical assistance, contact sequencing@syntezza.com or call 02-972-7138 ext. 4 or 5.